Rieger Begonias, Begonia hiemalis, is a low growing bushy plant that blooms for up to six months. 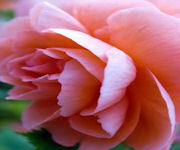 It is a hybrid cross between tuberous and wax (fibrous) begonia. It is often given as a gift plant and is frequently used in hanging basket. 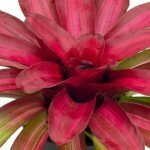 This plant is excellent for adding color to your indoor garden during winter. The plant produces reddish, fleshy stems with glossy, asymmetrical serrated leaves with clusters of 3 double rose shaped flowers. There are separate male and female blooms appearing on the same plant; the male flowers will drop off within 2-3 days after opening. These plants, also known as elatior, are extremely decorative with beautiful foliage and double flowers that come in an array of colors such as yellow, red, white, pink, and orange. They are an excellent way to add interest and delight to your home. Light: Bright indirect sun (east window). Direct sun will scorch the leaves. Water: Thoroughly water and drain into a saucer, then empty the excess water. Allowing plants to remain in standing water will cause root rot and kill your plant. Let soil dry slightly and avoid getting water on the leaves as it can cause powdery mildew problems. Temperature: It prefers cool temperatures of 70 degrees F during the day and 60 degrees F at night. Avoid extreme hot or cold indoor temperatures by keeping plant away from heating vents or cold drafts, because this will result in leaf scorch. Soil: Evenly moist all-purpose potting soil, well-drained peat/perlite soil mix, or African violet soil. Fertilizer: One-half strength houseplant fertilizer every 2 weeks when actively growing. Too much fertilizer will cause the leaves to curl at the ends. Repotting: Repot in fresh soil when the roots begin to grow out of the drainage holes in the bottom of the pot. This is necessary to keep them growing. Use a pot that is twice the width of the root ball. Common Problem: Check plant for mealybugs, aphids, and whiteflies; if present, click here for plant pest solution. 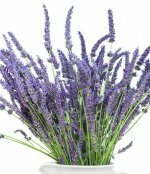 When the plant slows down and stops blooming cut it back to several inches above the soil line and place in a cool, medium light area, keeping the soil on dry side to avoid overwatering. Also, you can place it in the shade outdoors during the summer. When you see new growth, repot the plant to a larger container, move it to bright indirect light and start watering and fertilizing. Rieger begonias respond to short days and cool night temperatures (fall/winter) which stimulates it to bloom again.